Interior Minister Deri says he forbade Dublin mayor from entering Israel, is investigating how error occurred. 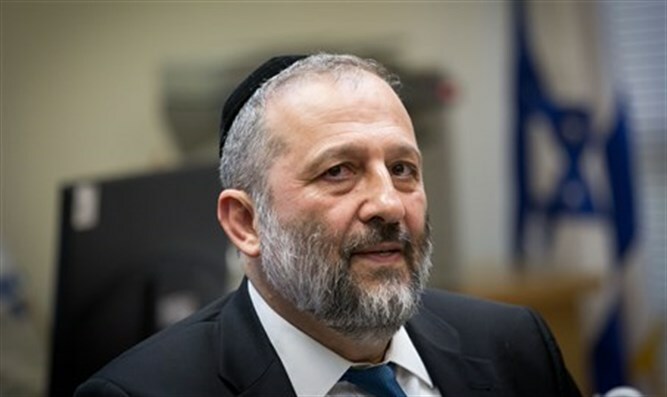 Interior Minister Aryeh Deri (Shas) asked Interior Ministry Director General Mordechai Cohen to investigate how Dublin's mayor succeeded in entering Israel on Tuesday. According to Deri, there was an order to prevent the mayor, Mícheál Mac Donncha, from entering Israel due to his anti-Israel activities and support of BDS. "This investigation is obligatory, and we must prevent such errors from occurring in the future, and learn the relevant lessons from what happened," Deri said. "At any rate, when the Dublin mayor leaves Israel, and in light of his anti-Israel activities, I have ordered him to be given a letter forbidding him from entering Israeli territory in the future." Initial reports show the source of the error to be a misspelling of Mac Donncha's name. Meanwhile, Mac Donncha denies he was forbidden to enter Israel.